E-Commerce platform is a great way to earn money online… while it works. However, do you know what to do if your E-Commerce platform goes down? What to do to minimize the losses, bring everything back up and running and how to recover E-Сommerce website’s normal operations? Here are 3 lifehacks for painless recovery after a dreadful technical failure of your E-Commerce platform. First of all, let’s make it clear from the very beginning — no websites are 100% failsafe, regardless of the E-Commerce platform chosen. Service disruptions can happen anytime and if you have to search for the ways to recover from them afterwards it only means you did not take precautions beforehand. Official Payment Card Industry Council’s position is as follows: “E-Commerce website owner should ensure the safety of all sensitive data submitted on their websites.” Therefore, the easiest way to recover from a technical failure is to take preventive measures from the very beginning. How to recover E-Commerce website from a hacking attempt? Change all essential passwords to mitigate the security breach. Assess the damage. What was hacked? Can the data be restored from backups? Was the sensitive data compromised? Who should be informed? The simplest way of assessing the damage is through Google Webmaster Tools that have detailed guides in place. Restore the data from backup with the help of your hosting provider and check the backup for viruses/malware too. Find out the breach and close it — most often this involves updating the E-Commerce platform core, themes, plugins and other website components to the latest stable versions. If custom themes or other 3rd party software, you use were compromised — you’ll need to involve a developer to solve the issue. Remove your website from search engine blacklists to restore the indexing process and avoid losing positions in SERPs. Hiring a contractor to monitor your website security and defend against hacking attempts on the fly can help solve this problem proactively. Sukuri is an example of such website security provider. How to recover E-Commerce website from a DDoS attack? DDoS attack hits like a train and it can rarely be stopped fast enough if it reaches the server. However, ordering preventive DDoS protection services from your hosting provider or a 3rd party contractor like Incapsula, Verisign, or Cloudflare helps mitigate the DDoS quickly and efficiently. You can do this amidst the attack, of course, yet we highly recommend considering the service beforehand. How to recover E-Commerce website from a force-majeure? Having RAIDs for mirroring your website content and scheduling regular backups stored at a separate datacenter. Deploying your website onto a cloud-based E-Commerce platform, so that connection issues with one location have little to no impact on its performance. All in all, you can quite simply recover your E-Commerce platform from a dreadful technical failure — you only have to stay calm and follow the instructions (and safeguard your website from DDoS attacks and force-majeure beforehand). You can even delegate this task to a good E-Commerce SAAS provider, who will surely have more resources to deal with the issue (just make sure they have a disaster recovery plan in place). However, another issue arises — relations with your customers, who did not receive the service they expected. Customers have certain expectations and some tolerance to issues, though it’s not too large. 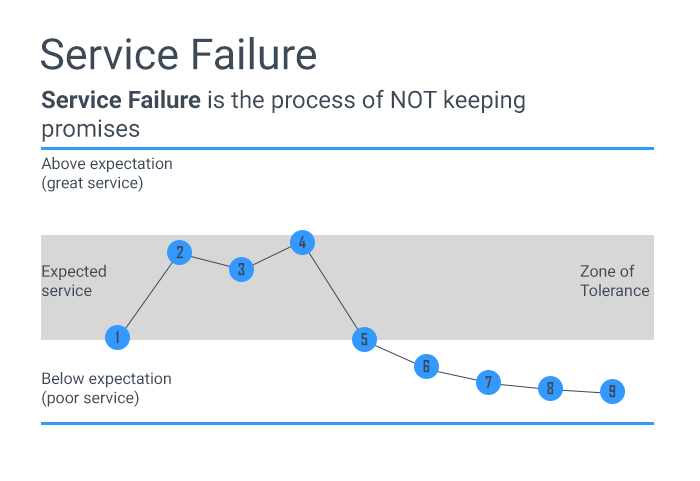 In order to obtain long-term customers, the service you deliver should exceed customer’s expectations, so they are delighted with their user’s experience. 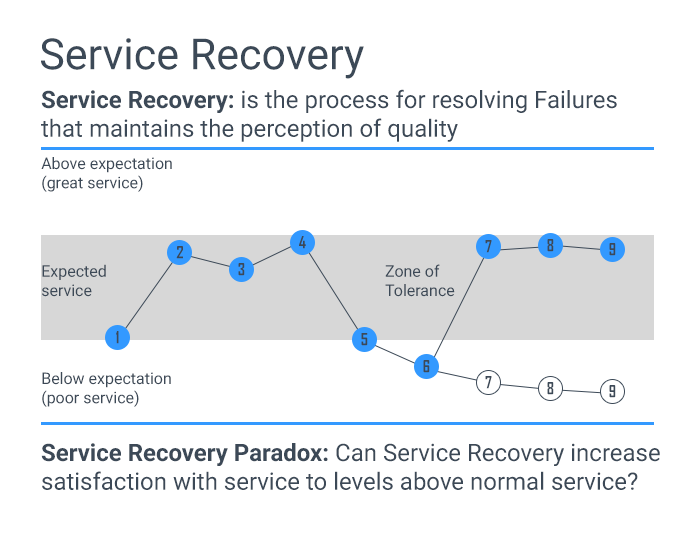 Thus said, through delivering an excellent service and ensuring issues are dealt with swiftly and to mutual satisfaction, you ensure the service recovery paradox. This means that by providing delightful service recovery experience you boost the customer’s loyalty and tolerance, which results in advocacy of your brand and word of mouth promotion, which leads to even bigger profits. Acknowledge that the problem exists — accept the responsibility instead of blaming the customers. Communicate with the customers — empathizing them solves half the problem. Listen to their complaints. Listen a lot —let them speak the anger out and you will be able to find a mutually beneficial solution faster. Be polite with your responses — despite all your troubles, the customers are always right and you do not want to lose them. Deliver delightful experience — once the issue is resolved express gratitude to your customers with a discount coupon. Sometimes even an email with thanks can work wonders and win hearts. As you can see from the above, E-Commerce website failure recovery can totally be done by oneself. However, having a team in place will undoubtedly shorten the issue resolution time. Besides, E-Commerce SAAS provider can benefit your platform with numerous useful services that are well worth the subscription fee. 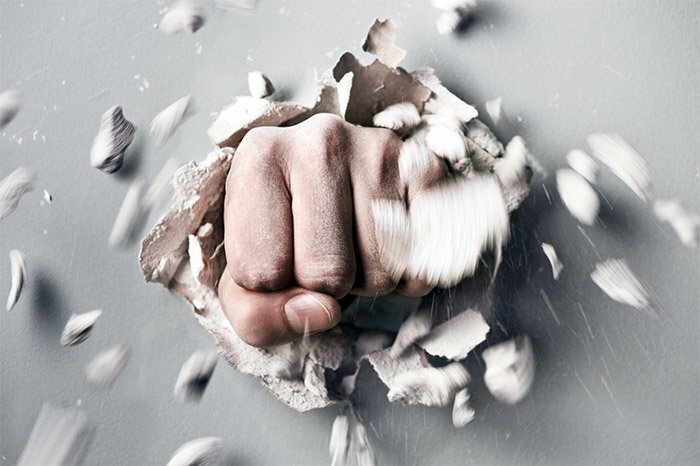 Take a look at what QArea has to offer on this — and we promise to exceed your expectations and crush all walls on your way to success!